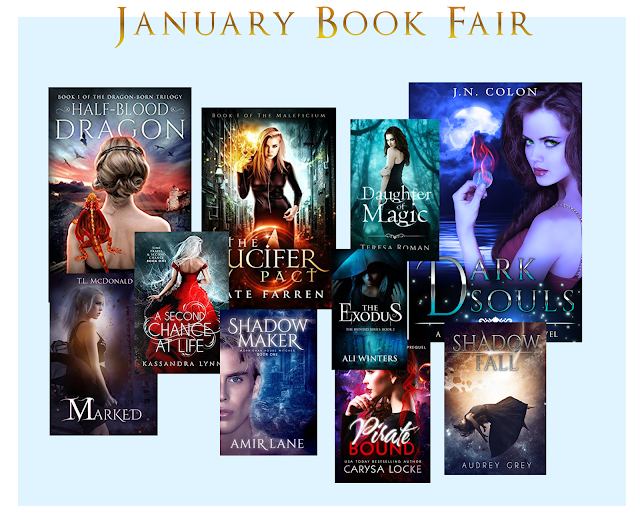 Check out Rebecca Hamilton's January Book Fair where you can choose from over a hundred eBooks at $.99 to $2.99! Lots of different genres including Urban Fantasy, Young Adult, Science Fiction Romance, Dystopian, Steampunk & Fantasy, Contemporary Romance, Suspense & Thriller. Wow, the book fair is coming on my way. I just love these types of the book fair and the books they offer are always worth to buy. Great one.